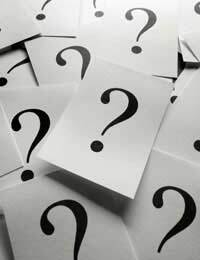 Question marks, periods and exclamation points are very important in English grammar. Without them, we wouldn’t know where one sentence ends and another begins. It is equally as important to know exactly how and when they should be used. We will take a look at different types of sentences where question marks, periods and exclamation points are used. The period, more commonly known as the full stop, ends two types of sentences. These sentences, which are the most commonly used in the English language, are imperative and declarative sentences. The full stop has a few different purposes, but they are known for making reading text easier. Can you imagine what this article would be like with no full stops? It would be difficult to read and just as difficult to understand. That is why we rely on the period in sentences to show us the full meaning of the text being read. An imperative sentence is a sentence that makes a particular request, gives an order or an instruction. Make sure you switch your television off when you go to bed. Please clean the utensils after use. Let’s look at types of chocolate. Never leave candles burning when you leave a room. When you are cooking the pie, make sure the oven is set at the right temperature. Declarative sentences are the most commonly used sentences in the English language. The Declarative sentence is a statement. I really enjoy writing short stories. I want to be able to climb Everest. Jane would like to have four children. Periods are also used after some initials and abbreviations. However, when abbreviating American states a full stop is not needed: NY, MO and MA. The Question mark is used instead of a period when a direct question is being asked. These types of sentences are more commonly known as interrogative sentences. So, if a direct question is being asked, a question mark ends the sentence. However, if the sentence describes the question rather than asks it, it ends with a period and not a question mark. Where did you buy that jumper? Can you fetch me a chocolate cake please? Are you serious? When did this happen? She asked if she could arrive late. He needed to ask you a question. The exclamation mark ends strong interjections and exclamatory sentences. Interjections are the words that are used when an emotion is being expressed. Exclamatory sentences are defined as a complete sentence that needs emphasis. Seriously! I can’t believe it. This must go out today! So as you can see, without the question mark, the period or the exclamation mark, we would have trouble distinguishing the message we are reading. They allow the writer to express themselves adequately, while making sure the reader can still understand. The question mark, the period and the exclamation mark are vital to the English language and the grammar within. Make sure you know which to use!